Foreign bond investments offer opportunity and risk. 1. Can Americans Invest in a Canadian Bond? Given that the United States is just a portion of the entire global economy, some investors choose to include foreign investments in their portfolios. While this can be done using stock traded on foreign markets or by purchasing American depositary receipt, or ADR, shares on U.S. markets, investors can also gain diversification by purchasing foreign bonds. Just like U.S.-based bonds, foreign bonds are issued by both governments and corporations and have varying levels of quality and return. With an account that allows for international trading, investors can buy foreign bonds roughly the way they buy U.S. bonds. Their broker provides them with a list of bonds that are available and they can buy the bonds at the market's price. The transaction costs may be higher, though, and the selection of bonds might be limited relative to domestic issues in the country of investment. One alternative is to buy dollar-denominated or U.S.-based foreign bonds. Sometimes, a foreign company issues a bond in the United States priced in dollars. These so-called "Yankee bonds" give exposure to the foreign company but still offer the opportunity to purchase a dollar-based bond in the U.S. Companies can also issue bonds priced in dollars but outside of the U.S.; these typically are called Eurodollar bonds. One way to avoid the complexity of trading in foreign bonds is to buy a U.S.-based fund that owns international bonds. Doing this allows an investor to purchase shares in an American mutual fund or exchange-traded fund that is priced in U.S. dollars and sells on U.S. markets. Returns get paid in dollars, as well, but the underlying investments are all international. This offers diversification among multiple bonds in addition to the benefit of simplicity. The trade-off is that these funds have higher management fees, which can eat into their overall returns. International bonds have many of the same risks as U.S.-based bonds. If interest rates go up, their values can go down, and if the issuer of the bond suffers a financial reversal, the bonds could be reduced in value or, in the case of a total default, become completely worthless. 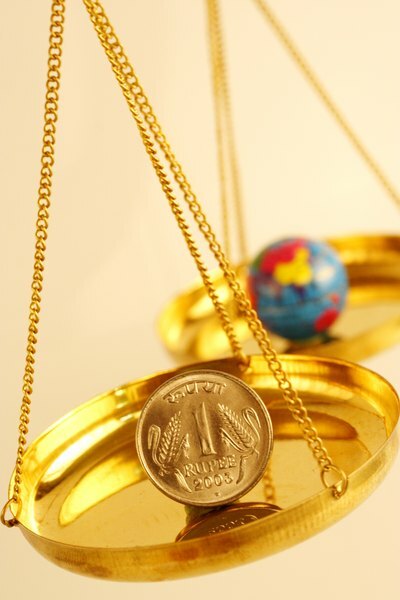 International bonds issued in foreign currencies have an additional risk, though. Buying a foreign currency bond exposes investors to that currency and its fluctuations. If the U.S. dollar gains value relative to that currency, the bond could end up being worth less money. As a hypothetical example, at an exchange rate of 100 yen to one dollar, a 500,000 yen bond would cost $5,000. If it was a one-year bond paying a 1 percent return at maturity, it would pay 505,000 yen after one year. If the exchange rate stayed the same, that 505,000 yen would be worth $5,050. However, if the dollar gained value and was worth 102 yen at maturity, that 505,000 yen payment would only be worth $4,951. Part of deciding how to invest in foreign bonds can be deciding how much to invest in them. Foreign bonds can offer both diversification and the potential for higher yields relative to U.S.-based bonds, but they also add risk. With this in mind, investment experts at Nuveen Investments and at Vanguard generally recommend putting around 15 to 20 percent of a total bond portfolio into foreign bonds or foreign bond funds. Specific allocations can vary based on any given investor's portfolio structure, goals and risk tolerance.